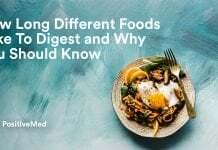 Food additives find their way into our foods to help ease processing, packaging and storage, they have been used for centuries to enhance the appearance and flavor of food and prolong shelf life. 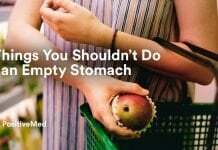 Many of these can cause dire consequences to your health. Aspartame, better known as Nutrasweet and Equal, is found in foods labeled “diet” or “sugar free”, it is believed to be carcinogenic and accounts for more reports of adverse reactions than all other foods and food additives combined. Aspartame is a neurotoxin and carcinogen, known to erode intelligence and affect short-term memory, the components of this toxic sweetener may lead to a wide variety of ailments including brain tumors, diseases like lymphoma, diabetes, multiple sclerosis, Parkinson’s, Alzheimer’s, fibromyalgia, and chronic fatigue, emotional disorders like depression and anxiety attacks, dizziness, headaches, nausea, mental confusion, migraines and seizures. Acesulfame-K is another artificial sweetener found in baking goods, gum and gelatin, has not been thoroughly tested and has been linked to kidney tumors. High fructose corn syrup is a highly-refined artificial sweetener which has become the number one source of calories in America. It is found in almost all processed foods and packs on the pounds faster than any other ingredient, increases your bad cholesterol levels, and contributes to the development of diabetes and tissue damage, among other harmful effects. 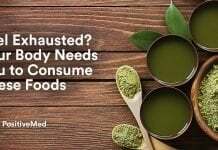 You can find it in these foods: processed foods, breads, candy, flavored yogurts, salad dressings, canned vegetables, cereals, crackers, soup, frozen dinners, and many more. 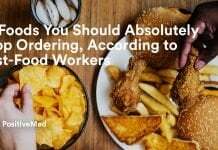 MSG is an amino acid used as a flavor enhancer in soups, salad dressings, chips, frozen entrees, and many restaurant foods, it is also known as an excitotoxin, a substance which overexcites cells to the point of damage or death. Regular consumption of MSG may result in adverse side effects which include depression, disorientation, eye damage, fatigue, headaches, and obesity, it also affects the neurological pathways of the brain and disengages the “I’m full” function which explains a lot of weight gain. You can find this in Chinese foods, many snacks, chips, cookies, seasonings, most Campbell Soup products, frozen dinners, lunch meats. This is used to enhance and extend the shelf life of food products and is among the most dangerous substances that you can consume, they are formed by a process called hydrogenation, which means the fat is whipped with air until it becomes a solid, this solid does not liquefy again. Trans fat increases LDL cholesterol levels while decreasing H cholesterol, therefore increases risk of heart attack, heart disease, and stroke, and contributes to increased inflammation, diabetes and other health problems. You can find this in foods like: margarine, peanut butter, chips and crackers, baked goods, fast foods. Artificial colorings which are found in soda, fruit juices and salad dressings, may contribute to a significant reduction in IQ. Increases the number of kidney and adrenal gland tumors in laboratory animals, may cause chromosomal damage. Found in: American cheese, macaroni and cheese, candy and carbonated beverages, lemonade and more.